With demand for long-haul driver teams outstripping supply, one of the country’s largest truckload carriers Feb. 12 launched a compensation plan to provide team drivers up to $50,000 in bonuses and four weeks of paid vacation every year. The improved pay levels and benefits for U.S. Xpress team drivers should make them among the best paid in the industry and help U.S. Xpress boost its share of team driver hauls, company president Eric Fuller said Feb. 12. Nearly 400,000 people a year in the United States obtain commercial driver licenses (CDLs), but American Trucking Associations estimates there is still a shortage of at least 50,000 drivers due to high turnover, especially among long-haul team drivers most in demand today. The nomadic life and long rides cause many drivers to leave the profession or give up on long-haul driving, especially with the U.S. jobless rate now near full employment rate with only about 4% of the workforce looking for jobs. Last year, other major trucking companies also boosted pay or benefits to attract more drivers. Covenant Transport of Chattanooga, Tenn., offered drivers a run home every other week and a guaranteed $100-per-day late pay. Forward Air of Greenville, Tenn., touts that two-driver team can travel 5,800 miles every week and gross up to $392,000 per year before expenses. Covenant ranks No. 47 and Forward Air ranks No. 37 on the Transport Topics Top 100 list of the largest North American for-hire carriers. The Chattanooga- based U.S. Xpress has more than 7,000 drivers. 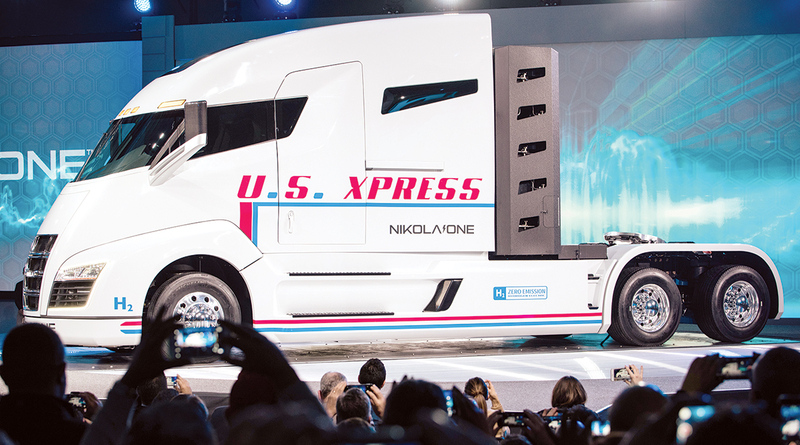 The company currently generates about 15% of its revenues from driver teams that switch off drivers on long-haul shipments to allow a truck to stay on the road virtually around the clock. Compensation for the Bermans and other TeamMax drivers at U.S. Xpress are in the top 10% in the industry with annual pay levels of $87,500 a year or more per driver, according to the company. U.S. Xpress will pay eligible drivers 82 cents per mile, including a 22 cents per mile monthly mileage bonus, and a 5 cents per mile bonus when drivers are one the road away from home for 45 days or more in a row.